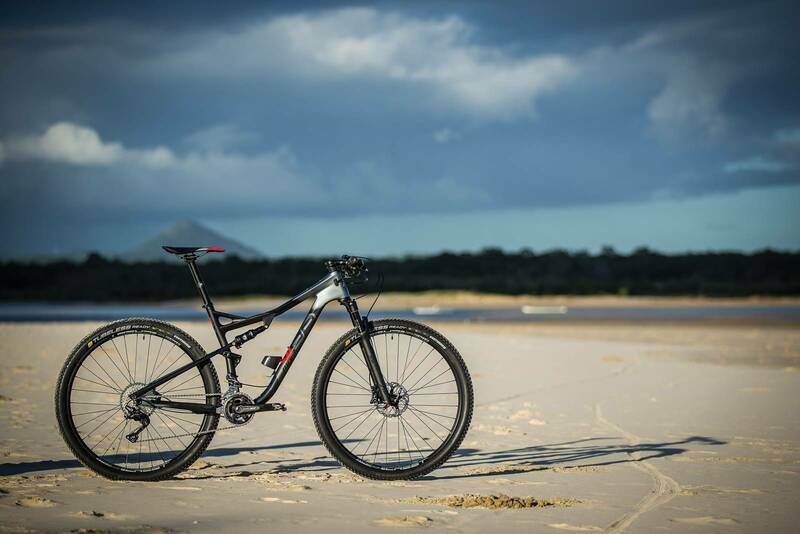 Momsen claim their bikes are ‘forged in the untamed’ but are they ready for the Australian bush? Momsen bikes are new to Australian shores, and hail from somewhere due west. Not just Perth where the importer is based, but all the way from South Africa. South Africa might be known for Rugby, boerewors, braais, but bikes are also a pretty big deal. Mountain bikes in-particular. With names like Greg Minaar, Andrew Neethling, Erik Kleinhans, Mariske Strauss and of course the late Burry Stander, South Africa has some serious mountain bike pedigree considering their size. 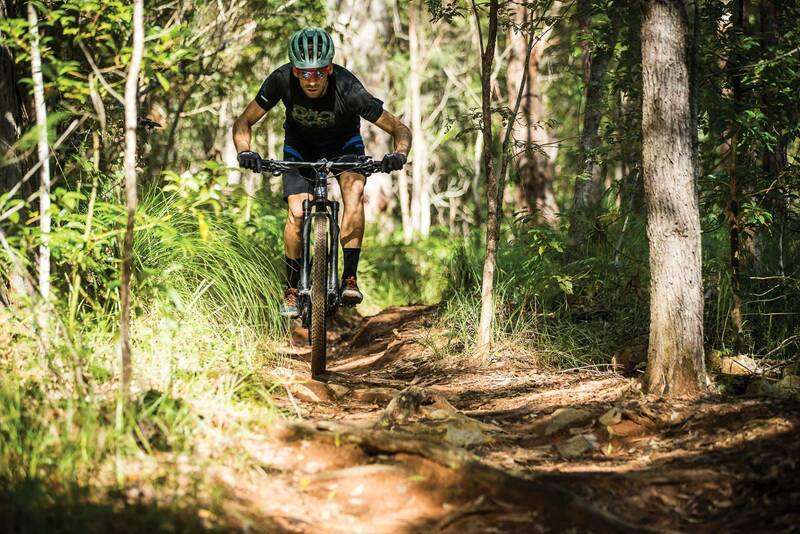 The strong point of South Africa’s mountain bike scene is stage racing and marathon racing. Having hosted the XCO and DHI World Championships in 2013, then the Marathon (XCM) World Championships in 2014, and now a World Cup in Stellenbosch, South Africa is still best-known for the Cape Epic. The eight-day UCI HCS (beyond categorisation, which is ironically a category itself) race has live television coverage, and a huge followong. Yet, this is just one race in South Africa. Erik Kleinhans once commented that he could do a stage race every weekend, and through many weeks, without leaving South Africa. From 2-day events to 9-day events, and immense challenges like The Munga – South Africa has an addiction to endurance mountain biking. 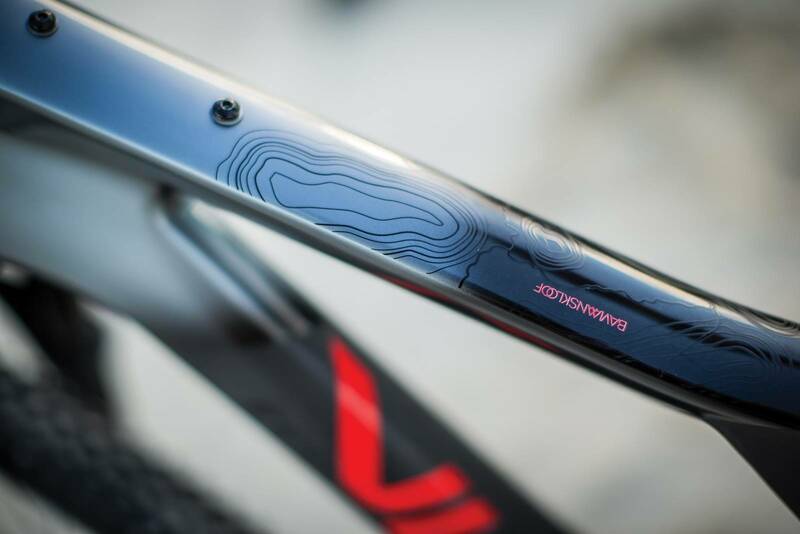 And that’s exactly where bikes like the Momsen Vipa Race Two fit. Momsen Bikes is the brainchild of Victor Momsen, who launched the bike brand in 2009. With a background in the bike industry and qualifications in mechanical engineering, the brand was in it’s infancy as 29ers took off, and by offering a frame kit at a great price it was easy for people to upgrade and re-use much of the running gear from their current 26” wheeled bike. With a lot of success at home, Momsen are now branching into Australia and Europe. 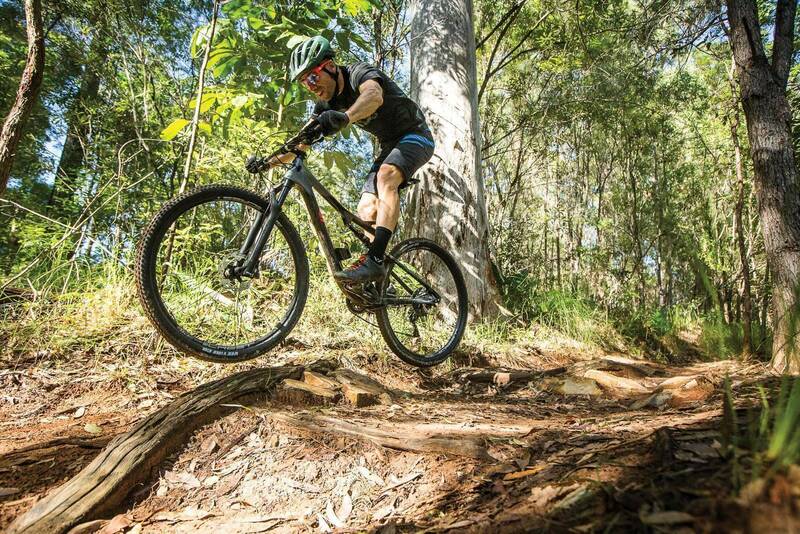 The Momsen Vipa Race is one of about eight full-suspension mountain bikes on the market that can take two water bottles inside the main triangle – and only about 4 of those are readily available in Australia. This might not seem like that big of a deal, but on longer rides, or more demanding events like the Cape Epic, Crocodile Trophy, Joberg2c or even The Pioneer, fluid carrying capabilities can make or break your day on the bike. 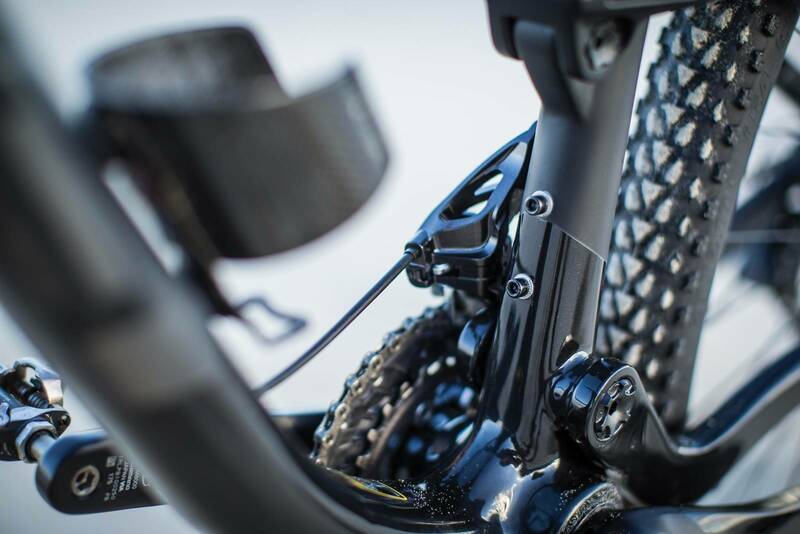 The silhouette of the Vipa Race looks a little ungainly at first to some of it’s counterparts, until you look closer to seethe details. The headtube is quite tall, but not overly so, which helps add stiffness to the front end. The down tube is oversized and the press-fit bottom bracket shell is as well for added rigidity. The top tube drops for clearance, with a strut to reinforce the seat tube, and the chain and seat stays are both full-carbon. For a bike at about $5500 this isn’t always the case, typically you will find a carbon main triangle with alloy swing arms. Spacing in the back end is 142x12, and the RockShox SID RL fork is 15x100 up front. Both have tool-free operation which is a little heavier but a nod towards race use – as it’s faster that way. The geometry is pretty spot on for the purpose, with a steep 73.5 degree seat angle keeping you on top of the pedals, a moderate 40mm bottom bracket drop offering a good mix of stability and pedal clearance, and a head angle of 70.5 degrees keeping the bike quite agile. Reach on the large I tested was 436mm with a 615mm top tube. I have long arms and typically ride a large when others my height might prefer a medium. It’s worth noting this is the largest frame size. 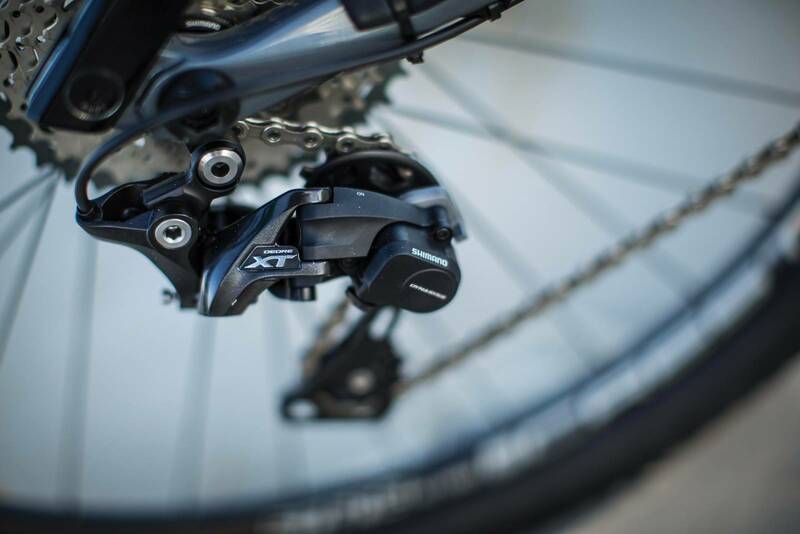 The cables and hoses are internally routed, and the bike is routed for and equipped with a SideSwing Shimano front derailleur, for a 2x11 Shimano XT M8000 group set. Like any Shimano 2x11 group, stripping the front shifter and derailleur off and swapping out to a single ring (and maybe trade the 11-42 cassette for an 11-46) is an easy change. But if you are looking at longer events, the range afforded by the 26/36 chain rings and 11-42 cassette might be just what you’re after. The area below the linkage allows for a mount where you can place a second cage – so it’s not as clean as some designs, but it still puts a bottle in a much easier place to access than on the seatpost or beneath the down tube. There are also mounts for a toptube box. The wheels are Crest S1 rims on Shimano SLX hubs, with Vee Rubber tyres. All highly reliable, but not light. Out of interest I threw a set of my own race wheels on with an XTR cassette and light tyres and shed 1.56kg from the bike. Those wheels don’t come stock on any bike, even at double the price of the Vipa Race Two, but it shows that you could build a 10-10.5kg race bike from very easily from this platform. The rear end has 80mm of travel – and I set the Fox Float EVOL DPS shock up with 25% sag, threw some pedals and a cage on and hit the trails. 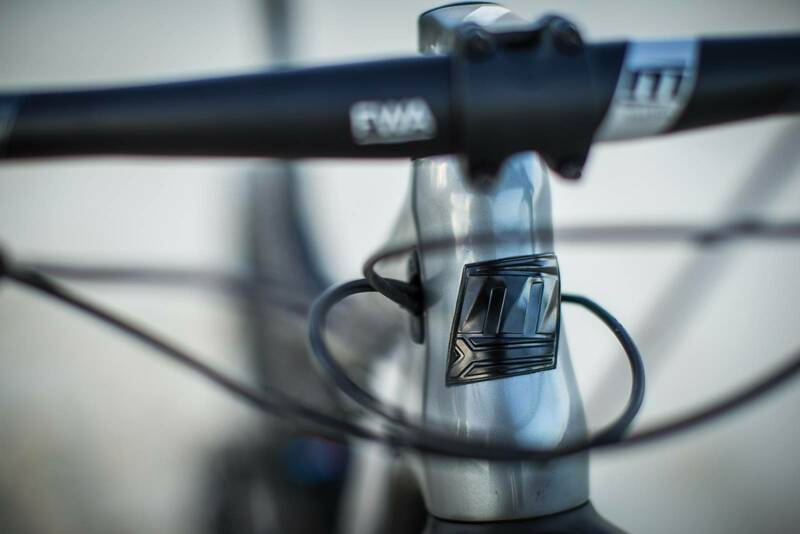 My first ride on the Vipa Race had me looking up the frame geometry again. Was it really a 73.5 degree seat angle? Bikes are getting steeper in the seat angles but this felt slacker than that. Not in a bad way though. The Vipa Race feels very planted, and compared to my own bike it really felt like I was riding ‘in’ this bike and not on it. That’s an overused comment, but the front end really looked after itself, leaving the rider to push through the pedals and carve the bike through corners, or just keep it motoring. 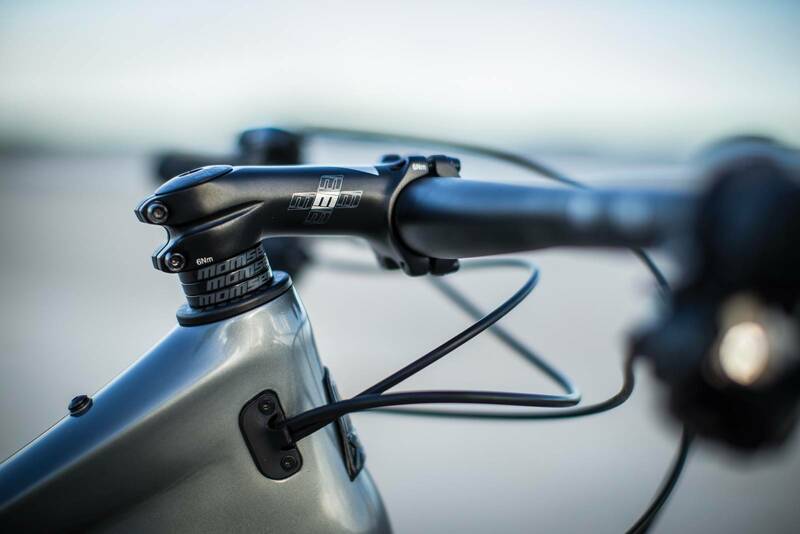 The Momsen-branded handlebars are very, very straight. I struggled to find a comfortable angle with them, but the negative angle stem kept the bars where they needed to be. 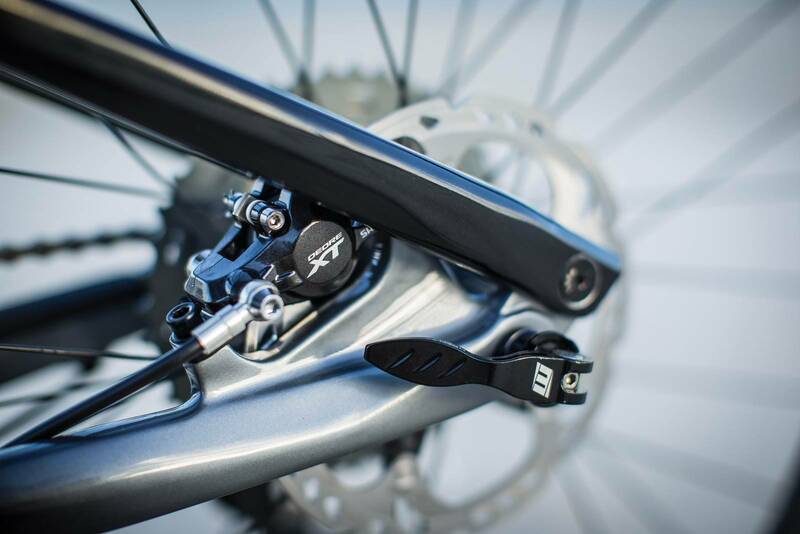 Interestingly, the Vipa Race Two comes with a RockShox fork and Fox rear shock. Aesthetically they match in black, but the fork has a remote lock out while the rear shock requires a hand off to actuate the shock. In a way, this doesn’t matter. I find the Fox Float EVOL DPS rear shocks have a very effective tune in the open setting. 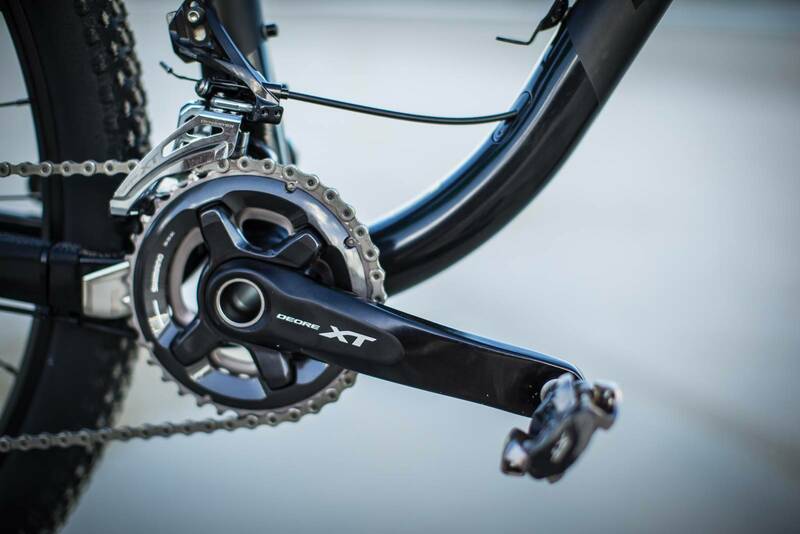 But as an all out race bike, many prefer a dual lock out. While only bringing 80mm of travel to the party, the frame never felt short of travel for the terrain it was tested in. Having the link on the seat stay above and ahead of the drop out does mean there can be some brake jack, but really on a bike like this it’s not a noticeable problem. 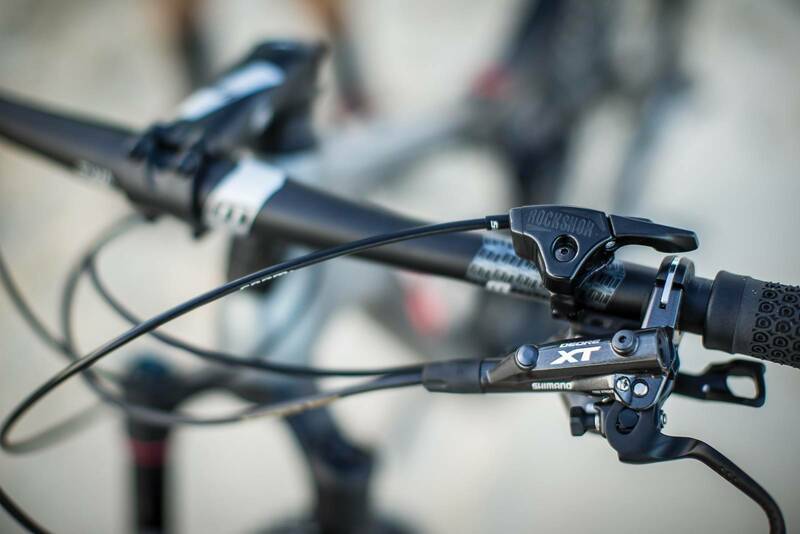 Mostly it stays nicely active, and the Fox rear shock helps with pedalling efficiency. After a few rides getting used to the bike and fine tuning tyre and shock pressures, it was easy to get more and more out of the Vipa Race. 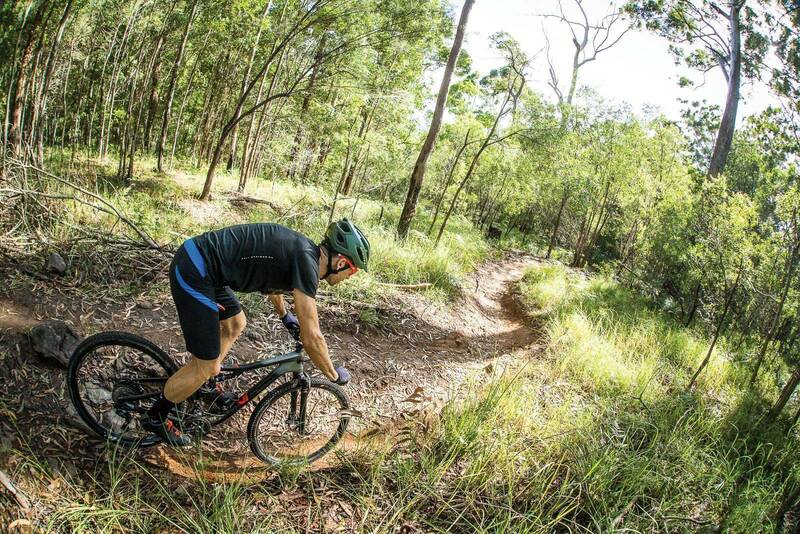 While it does reward sitting and pedalling, if you really want to attack singletrack climbs it responds very well to weight shifts and surges out of the saddle. The back end stays planted, letting you keep the power down while pushing the bike through corners and up and over features. Similarly, despite being very XC/marathon oriented the Vipa Race is composed when in the air. Not that I took it very far off the ground. There is little to say about the XT group set. It’s a performance workhorse and whether run 1x or 2x it’s unlikely to let you down. I enjoy 1x simplicity but given I live in a hilly area I was grateful for the 26t chainring. And if you’re looking at lining up for some challenging multi-day events, there’s a lot to be said for the close ratios and spread of a 2x11 group set. The demands of a bike dedicated to marathon and stage racing aren’t too complex, but they do tend to be fairly important. Stability and maneuverability is important. Light weight, stiffness and ease of maintenance count. Fit and ergonomics can’t be compromised and you have to be able to carry at least one full-size (800mL) water bottle. In my mind, the Momsen Vipa Race Two does a very good job of ticking many of these boxes at $5450. The handling of the bike was a pleasant surprise, given it was a brand I didn’t have any experience with previously. While an extra part is required to carry a second water bottle, there’s ample room for one big bottle as stock, plus mounting options for a toptube box. The parts spec is no-nonsense and could be jazzed up with some carbon bits or race wheels if needed – or a 1x conversion if it suits your riding and racing. Momsen claim their bikes are ‘forged in the untamed’, a reference not just to the African continent but the Cape Epic as well. 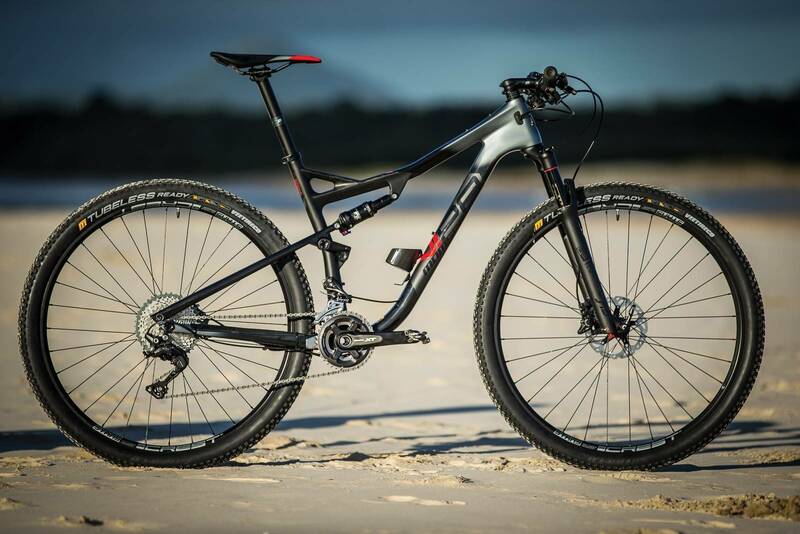 I think the Vipa Race Two would be an excellent companion for the Cape Epic. Whether as stock, or as an investment into building your dream race bike with a few upgrades in key areas like the wheels. The key thing is – it’s a great platform to start with.